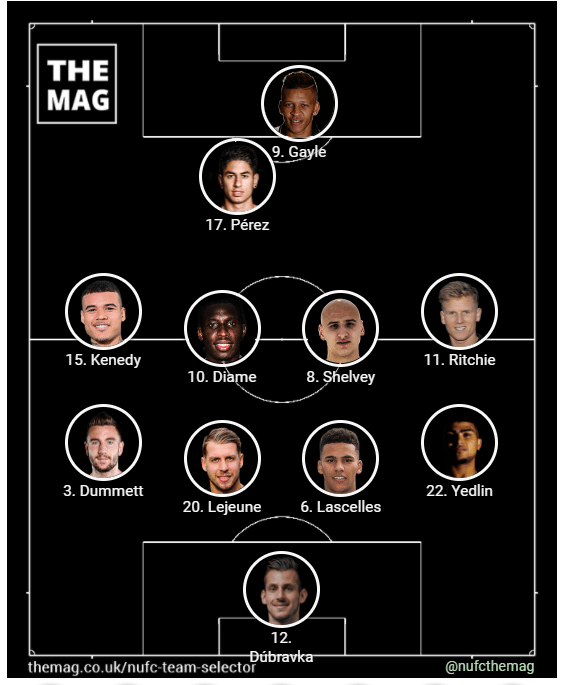 We asked fans the question, which 11 players would you pick in your Newcastle team v Leicester? We put together a list of the 23 players who could potentially be selected for this 3pm Saturday afternoon kick-off. An excellent response and maybe the most overwhelming team selection we have ever had. With Islam Slimani not able to play, that appears to have very much simplified things for most supporters. Nine selections got 91% or higher support. Whilst Dwight Gayle got 81% and Ayoze Perez 73% – I’m guessing these two would have been fighting for a place alongside Slimani if he had been available. You have to go all the way back to Mikel Merino with 23% who was 12th highest on fans votes, with then Atsu on 18%. I’m guessing most fans seeing this as a pretty strong starting eleven now, having also been the choice in four of the last five games [with away at Liverpool the exception], which have given 10 points from 12 matches. Rafa Benitez is always capable of springing a surprise but with Slimani missing, difficult to make a strong case for any ‘rotation’.